Rodan + Fields® & buildOn: Serving in Solidarity Across the U.S. Rodan + Fields® & buildOn: Serving in Solidarity Across the U.S.
Rodan + Fields® & buildOn: Serving in Solidarity Across the U.S. When buildOn students team up with Rodan + Fields® Consultants to serve together in solidarity, the results are life-changing. 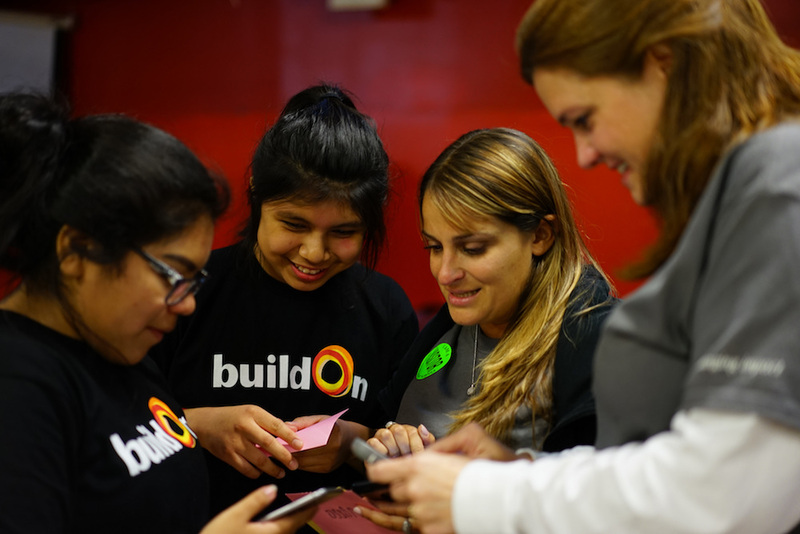 Two years after Rodan + Fields and buildOn first created the groundbreaking 36 Hours immersion program, the company’s Prescription for Change® Foundation raised the bar again—this time by partnering with buildOn in four U.S. cities as part of four simultaneous 36 Hours events (or Change Maker Trips), that took place this past April. 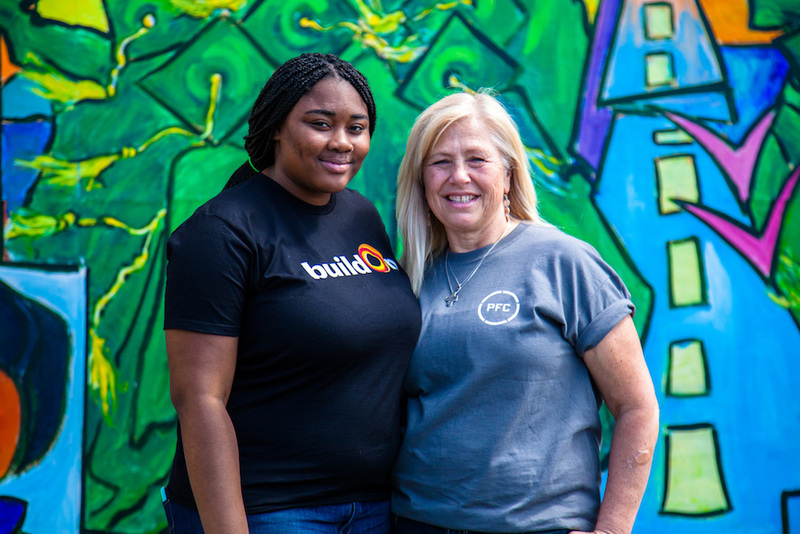 By traveling to buildOn partner high schools in the Bronx, Chicago, Oakland and Bridgeport, Rodan + Fields Consultants like Jean DeMayo, Cassie Stangler, Sherri Langfeldt, and Alyssa Zonghetti did more than simply support the incredible work of buildOn students across the country; they served alongside our students to create lasting change in the students’ communities. In Chicago, Cassie Stangler, a Rodan + Fields Consultant from Otsego, Minnesota, attended 36 Hours at Benito Juarez Community Academy, and she echoes the sentiments expressed by Jean. “I think that if people think that they are going to help the students, you will soon find out that you walk away with so much more than you could even give to them, for so many reasons,” Cassie says. 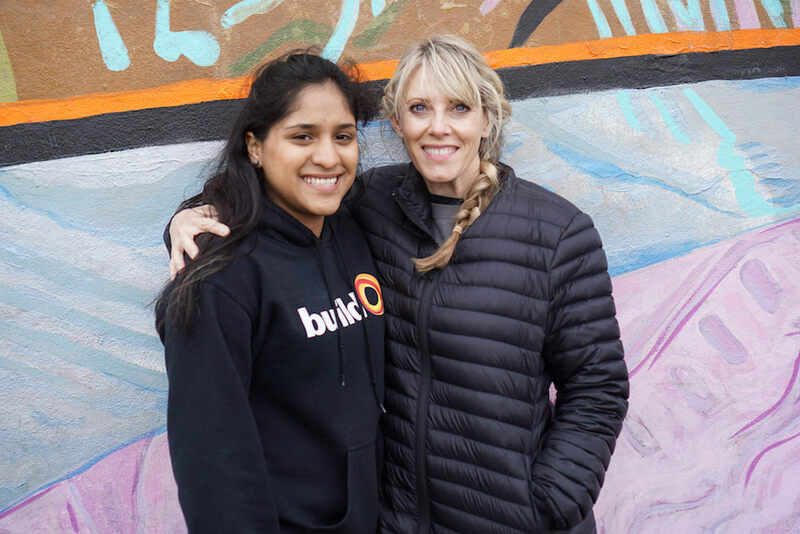 Above: Cassie Stangler poses for a photo with Ari, a buildOn student from Benito Juarez Community Academy in Chicago. In Oakland, Sherri Langfeldt, who is also a Rodan + Fields Consultant from Minnesota, found that the bond formed with students seemed effortless. “We immediately made connections. 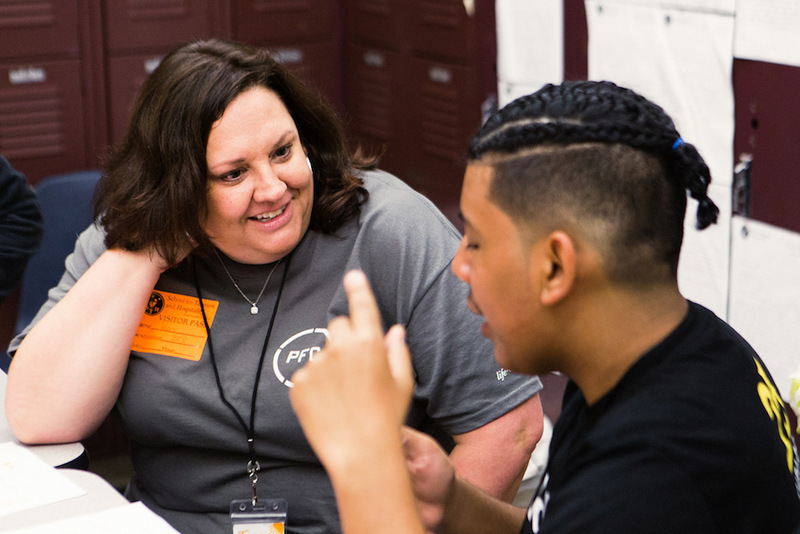 The students were very willing to share, they were interested, they were inquisitive, asking about our lives, and I just think that the programming—the way it was set up—allowed us to get to know one another in a short period of time,” Sherri says. Above: Alyssa Zonghetti (center right) and her buildOn partner exchange letters to each other before saying goodbye at the end of 36 hours at Central High School in Bridgeport. Above: Sherri Langfeldt and Flecshaney take a photo together in front of a mural at Coliseum College Prep Academy in Oakland. Even though Alyssa, Cassie, Sherri and Jean all visited different buildOn schools in different cities, they all felt energized by the students they met and encourage other Rodan + Fields Consultants to participate in 36 Hours and serve with buildOn students. R+F Consultants can apply annually for the PFC Change Maker programs with PFC’s non-profit partners buildOn (US), The Smith Family (AUS), and WE (CAN). Consultants who complete PFC’s three Change Maker actions: Serve, Share and Support are eligible. Contact ChangeMaker@rodanandfields.com for more information.